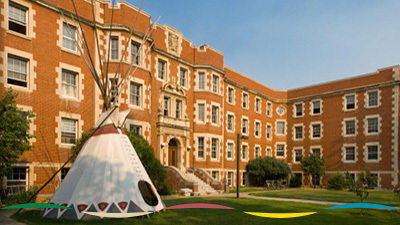 The Faculty of Native Studies offers four undergraduate degree programs, graduate programs leading to the degrees of Master of Arts and Doctor of Philosophy, several certificate programs, and a multitude of classes. Certificate in Aboriginal Governance and Partnership that allows students to build expertise in government, leadership, successful partnership, management, administration and business. Certificate in Aboriginal Sport and Recreation , designed to enhance leadership and to serve a demonstrated need in the growing field of community-based Aboriginal Sport and Recreation. 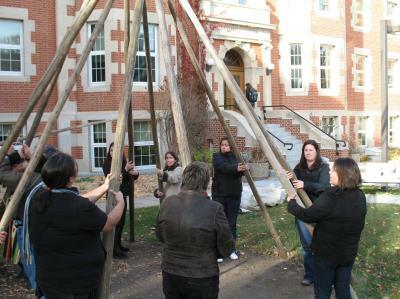 Post-Baccalaureate Certificate in Indigenous Sport and Recreation, designed for working professionals who want to further their knowledge in the areas of Indigenous studies sport and recreation. Indigenous Canada is a Massive Open Online Course (MOOC) that explores Indigenous histories and contemporary issues in Canada. Indigenous Canada is offered as both a for-credit online course as NS 201, and to the general public as a non-credit course.